When an accident happens and the outcome results in injury to you, it is important that you find the best representation to help your case. 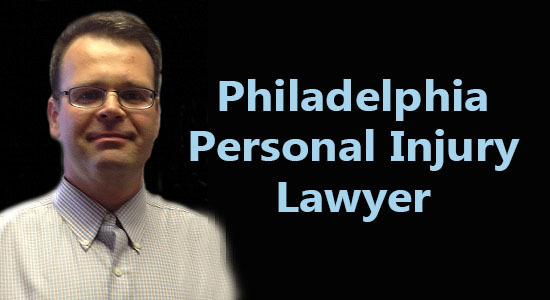 Finding a personal injury attorney in Northeast Philadelphia is easier than you think. We don’t always have time to do proper research after we’ve suffered personal injury, but making sure you don’t make any rash decisions after an accident can be the difference between wining and losing. Personal injuries are just that: personal. When you a searching for an attorney, you need to be able to work with someone who will understand that they are fighting for your future and that emotions and feelings are very strong and at the forefront of your mind right now. A good personal injury attorney understands this. They understand you are raw and filled with emotions. You are angry that this happened to you, you are in pain and you are upset. An experienced personal injury attorney knows these emotions are real. They also know that when you are about to file a personal injury claim against someone, that those emotions need to be left out of the equation. This is why hiring someone to defend you is more important than you think. You cannot do this alone because your feelings are running too high and in many different directions. With all of this said, how do you find that perfect attorney after an accident has happened? You will most likely do a Google search or find an ad. Both of these avenues are fine but you have to know what you are looking for in order to find the right attorney for your case. After the accident has happened, the first thing you need is medical attention. Once the dust has settled and you can face the realities of what happened, you need to think about what you are going to do next. If you suffered damages from this accident, this is when finding a personal injury attorney comes into play. Ask friends, family and coworkers if they have a suggestion. Do your Google search and look at advertisements. When you have come up with a few contenders, start interviewing them. Most attorneys offer free consultations. The good ones will tell you whether or not your case is valid and what they think the outcome will be. Honest, trustworthy attorneys won’t hesitate to tell you what they foresee as an outcome. Go with an attorney that you feel comfortable with. You want someone who is compassionate but you also want that same person to leave the emotional aspect out of the case when dealing with defendants, insurance companies and the courts. If you are looking for a personal injury attorney in Northeast Philadelphia only one law firm stands out: Martins Mill Legal Center. The team at Martins Mill specializes in personal injuries and they understand the complexities many of these cases present. Don’t go it alone, call Martins Mill Legal Center today.